We transform talented graduates into certified and highly qualified NetApp experts for your company! The NetApp Talent Program aims to recruit and qualify certified NetApp specialists for the channel. It is important to understand that we are not offering a simple training program, we are offering an educated person within only three months. This means that we are responsible for identifying, evaluating, educating, coaching, mentoring, certifying, and if needed replacing a candidate so that you as our customer can be sure that your investment will get you the educated and certified person(s) you are looking for. Our recruiters are constantly looking for suitable candidates. If we find that a candidate fits our program and your company, we will introduce this individual to you. You can then arrange an interview to get to know this screened and preselected candidate in person. If a NetApp Partner preselects a candidate, this individual qualifies for our evaluation class. In the course of an intensive 2-day class, our specialists assess the candidates' technical and communication skills as well as their commitment to the program. 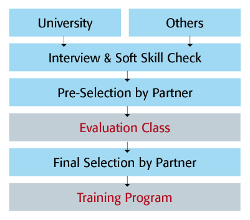 Once candidates have successfully completed the evaluation phase, a partner can select and hire the candidate, who is now qualified to take part in the corresponding three-month training program. The candidate gets a temporary contract for the duration of the training program. The contract guarantees permanent employment once candidates have successfully completed the program. During the training program, the new employers receive regular reports providing details on their new specialists’ progress and earned certifications. Over the course of three months, candidates will work with self-study materials, receive additional mentoring, and participate in intensive workshops. 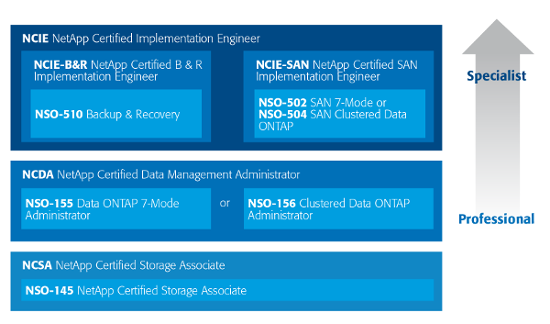 The NetApp Talent Program was developed on the basis of Fast Lane’s Data Center Talent Program. Several Cisco Partners have already recruited their data center specialists very successfully. There is one additional check after 2 weeks. Candidates that are in really bad shape at this point in time will be asked to leave the program and the partner may select one more candidate free of charge. This is something Fast Lane can't take responsibility for and needs to be part of the contract between the partner and the candidate.